Unless you've been hiding under a duvet cover for the past month or so you will know that Chanel have released a new foundation called Vitalumiere Aqua, am I the only one who thinks it should be called Aqua Lumiere?? Anyway after hearing positive things swirling about I thought I should try it. Normally getting a sample from a Chanel lady is tougher than drawing blood from a stone but I must have had a lucky day, she could find one of their 'official samples' so she got a little Chanel sample bottle out & filled it up with the foundation, she didn't even match me just grabbed a bottle & went with it. And do you know what? She matched me perfectly but didn't tell me the bloody shade! So I need to return to a Chanel counter & find out which shade I am, I'm guessing it was B20 Tendre or B30 Sable. The first thing to hit me about this foundation is the smell, I seriously love it, it smells exactly like sun cream which I doubt will offend anyone. The texture is so strange, because it is water based you expect it to be very thin but it comes out much thicker in texture than you would think, once you begin blending it into the skin it turns into the consistency you would expect and just glides onto your skin giving a really beautiful finished look. You really have to shake the bottle as it's water based but it would just mean busting out the moves whilst I sang 'shake it, shake it, shake it like a polaroid picture' every morning! 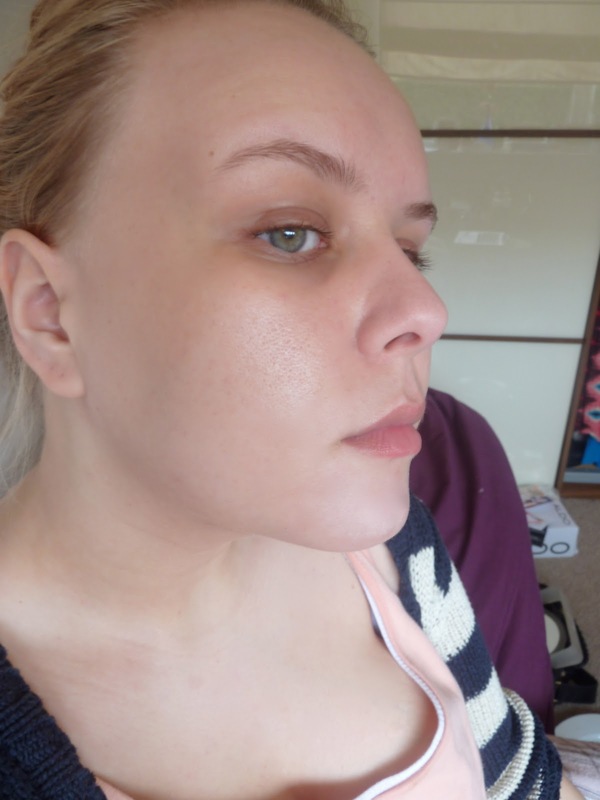 In terms of coverage I was expecting Mac Face & Body but I think it gives a really decent coverage I'd say it is a light medium which you can build to a medium coverage, I was expecting a vitalumiere finish to the skin so quite glowy but I have to say it gave me more of a satin finish which I'd happily wear without powder if I didn't need to worry about it lasting all day. 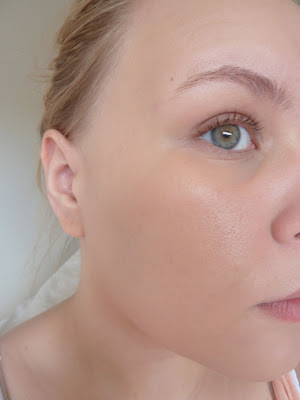 In terms of lasting power I found on my skin it lasted well, I think i've been spoilt with Estee Lauder double wear & expect all foundations to last 12 hours, the Chanel doesn't but it lasted a decent 8 hours without touching up & without a primer yesterday. To me this is the perfect foundation on my none work days, for lunch with a friend or when I want to look like i've got hardly any makeup on but polished. I seriously love this foundation, it costs a horrifying £32 or more accurately £31.66 (stupid VAT increase!) but I will make the investment as I think it looks fantastic on the skin! So there you have it, I apologise for the no makeup shot if it frightened anyone!! Thanks for reading & let me know if you have any questions about it or if you've tried it & your thoughts on it!! This looks really good, nice and light. I found the Vital lumiere too thick and it made me break out! I agree - Chanel are so difficult with samples and they should've called it Aqua Lumiere - Sounds much better! I thought the before picture was the with foundation picture.. daaamn you have amazing skin!! Ha! Totally thought the "before shot" was you with the foundation. What gorgeous skin you have you lucky thing! Yes, Chanel can make themselves a great foundation. I also love their Bourjois Paris Healthy Mix foundation. You have gorgeous skin btw. wow! Ur skin is amazing :O I think you may be b20 because i'm a mac nc30/35 (if i get a tan) and I would take a b30!